Today, with all the electronics working and the camera cooling, we got dirty. A telescope as big as the SPT requires a lot of grease… in the bearings, on the gears, all the moving parts. We donned our greasy clothes (I was lucky enough to have gotten some coveralls from the heavy machine shop here), and went to work. 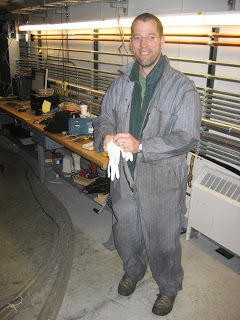 Here I am, all dressed up in coveralls, ready to get dirty. Video: Getting ready for Grease Day! 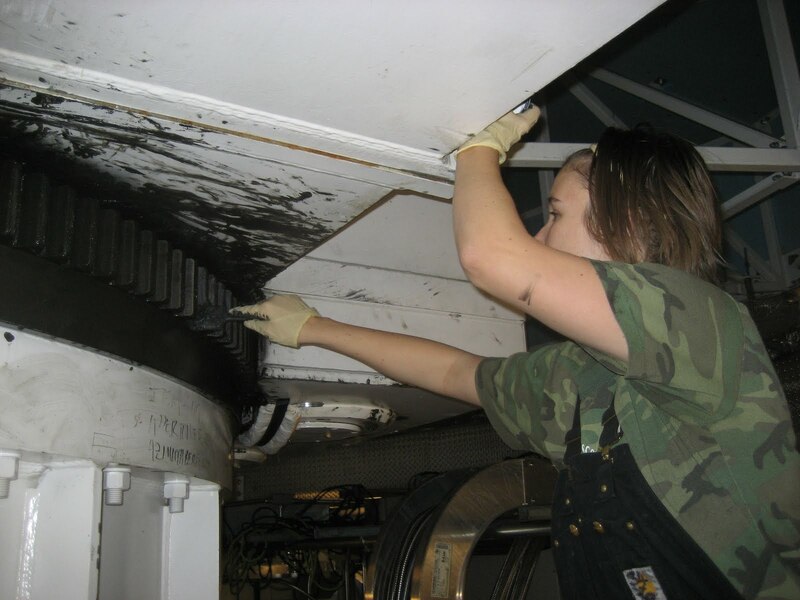 Video: Abby greases the Azimuth gear. 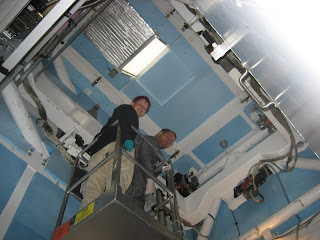 Liz and I head up to the place where the receiver sits, where a bunch of motors can move it around to focus the telescope; those motors need greasing once per year. It’s a 2 person job because it’s so hard to get to the grease points!